Founded in 2011, "Run To Your Home" is fundraising platform that uses running to connect with the community. 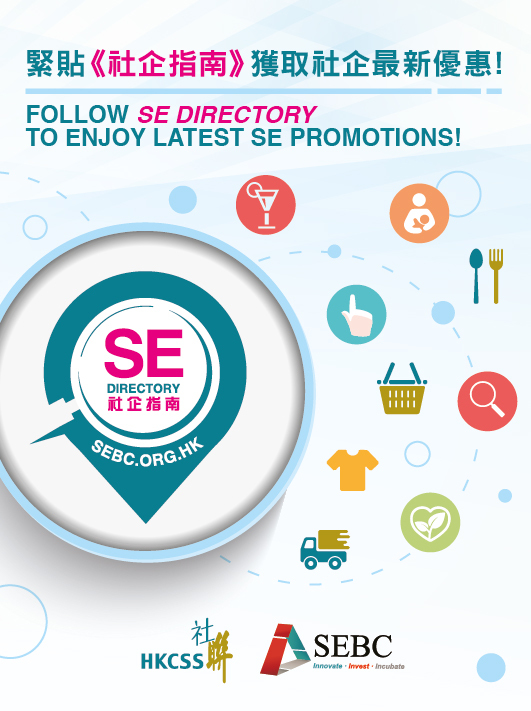 This platform brings together a group of business leaders from the Chinese University of Hong Kong EMBA to organize a diverse and innovative community action; and to promote our founding spirit to all levels of society, and to connect more communities to build a big family. "Run Your Home" believes that "running" is meaningful to different people; we can run for running, run for fundraising, run for others, and run for ourselves. Some of the runner was the first time running on the street, even the first time they put on their sneakers. This is the little thing for everyone, and it is a big deal. Run for elderly: Volunteers will visit the same elder regularly. By visiting the elderly regularly, both the volunteer and the elderly can learn from each other, sharing different century memory. The volunteer and the elderly build a long-lasting friendship and share their ample human life experience. 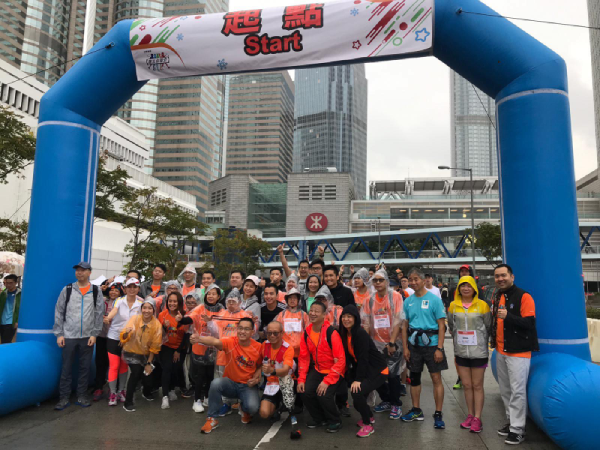 Run for Vision: Run for Vision invite different "Disabled Runners" to participate, including visually impaired, hearing impaired, physically handicapped, Down syndrome and elderly runners to join. 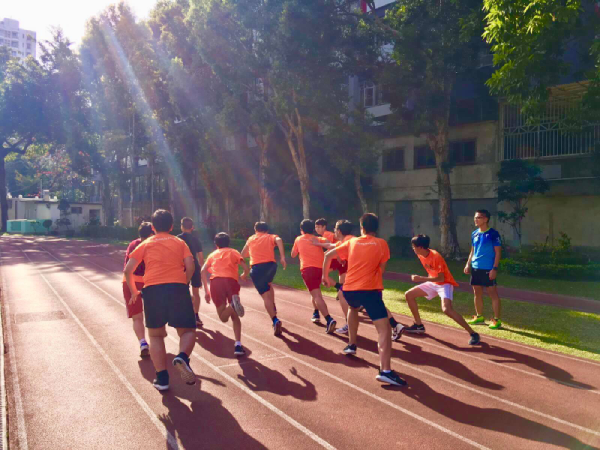 Run for Vision use the way of "two-person three-handed" to pair up runner from enterprises and disabled runner, hand in hand connected with a lead rope to complete relayed by the round-the-island method. 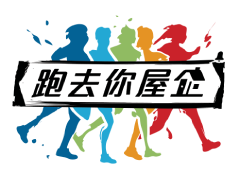 Although each of the "Disabled Runners" has a physical limit, they join in and play to further demonstrate the "infinite potential beyond limits ". Many commercial organizations and professional organizations are actively involved and shows the spirit of " inclusive society, appreciation and creation". Running Talents PLUS: We believe that every teenager has a unique personality and talent. As long as he is careful and patient, he will always be able to stand on his own and establish personal achievements and contribute to society. The goal of the program is to escalate the positive thinking, resilience, and self-image of low-powered adolescents. The scheme will help them to develop mutual support and care. 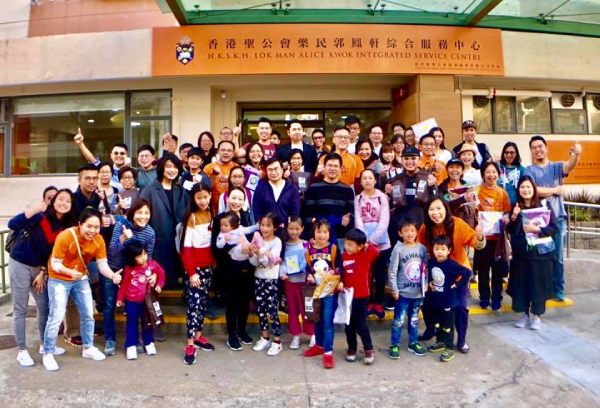 They will set up a running-oriented community service society in school to continue giving back to the community and grow from service learning. Volunteers go to visit the elderly with a sponsored soup and sweaters. They talk and make cards together. Nothing can stop the runner from finish the 50km relay around the Hong Kong Island, even the rain.